Guess it, press it and check it with a cool calculator The Maths Calculator Book is packed with cool maths, perplexing puzzles, and brilliant brain-teasers, complete with a colourful calculator to check your maths. The book builds your child's reasoning and problem-solving skills with practical problems, maths puzzles, calculator games and activities to get the brain buzzing. Can your brain beat the calculator? Crunch the numbers and find out. For young learners that want to sharpen their brainpower, these maths games and multiplication games will show them that maths is fun. 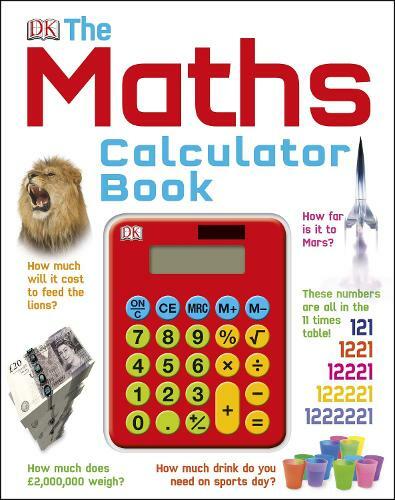 The Maths Calculator Book is perfect for anyone looking for a fun way to boost their child's reasoning skills and ability to problem solve.